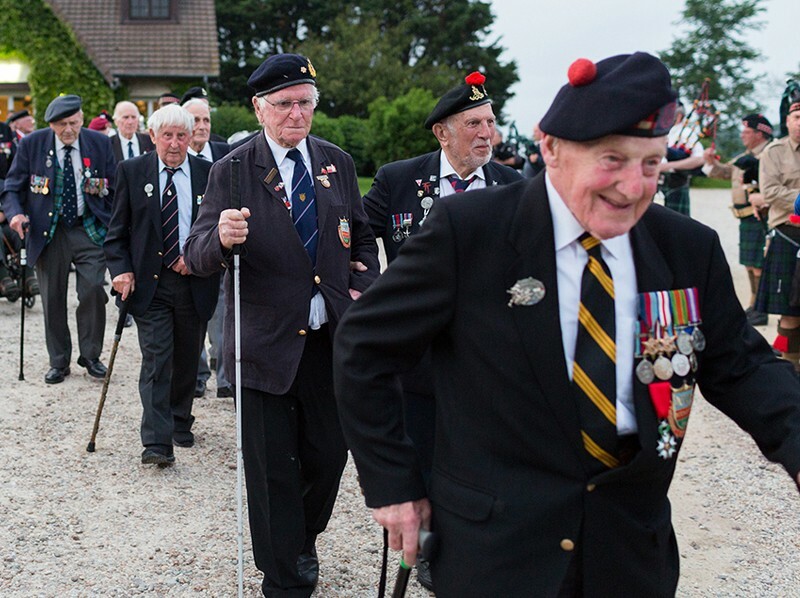 After 10 consecutive years, D-Day Revisited will be making its final trip to Normandy to commemorate the 75th anniversary of the D-Day Landings in June 2019. 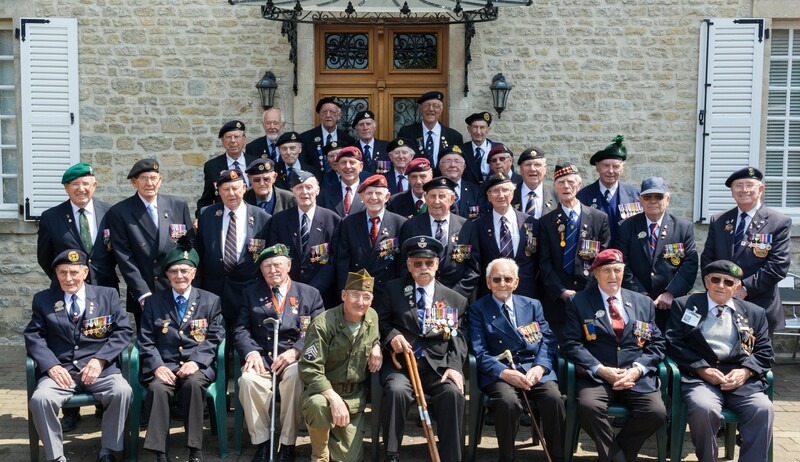 We are pleased to invite Normandy veterans and a companion to join us on our 75th anniversary veterans’ visit to France. This trip will run from 1st-9th of June 2019 and we have made provision to take a group of 100 people from across the country. 1st June: Travel to Portsmouth and check-in to Queen’s Hotel ahead of “welcome” evening meal. 2nd June: Visit to Portsmouth Historic Dockyard followed by “send off” dinner at Southwick House. 3rd June: Check-out of Queen’s Hotel and visit ‘D-Day Story’ Museum in Southsea. Afternoon ferry to Ouistreham and check-in to Novotel Caen Cote de Nacre. 4th June: Afternoon visit to the American Sector. 5th June: Visit to Pegasus Bridge, Ranville Cemetery and evening meal in Colleville-Montgomery. 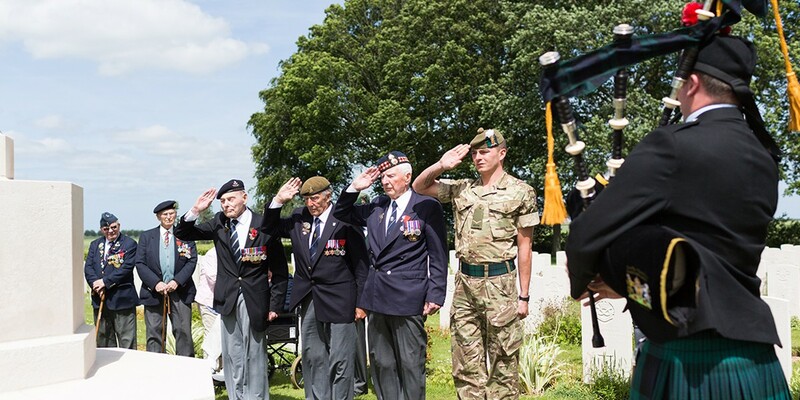 6th June: Official commemorations at Bayeux. Afternoon and evening meal in Arromanches. 7th June: Visit to Thury-Harcourt and other sites of interest in the ‘bocage’ region. 8th June: Afternoon ferry to Portsmouth and overnight at Queen’s Hotel, Southsea. We are expecting high demand this year, so places will be allocated on a first come first served basis. If you or a family member would like to apply, please email or telephone us at your earliest opportunity. Alternatively use the contact form below. We have built a hard-working support team of volunteers who go out of their way to ensure the journey and the stay in France is as comfortable as possible for all veterans and their companions and their companions. 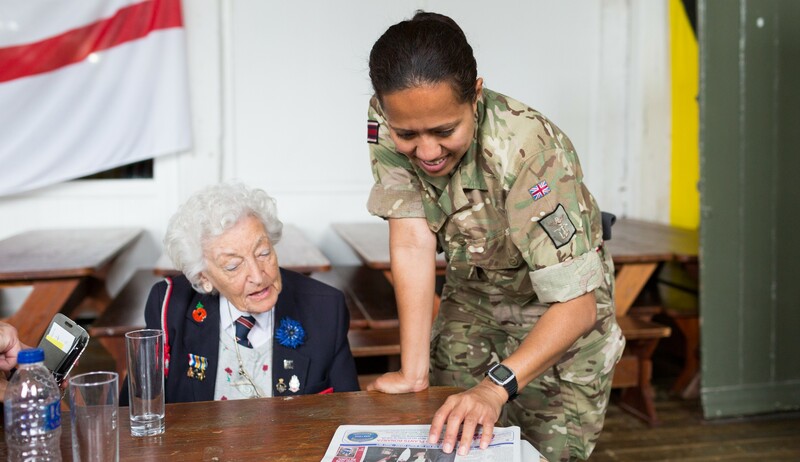 This includes a core team of volunteer medics from the Queen Alexandra’s Royal Army Nursing Corps (QARANC) and two General Practitioners who will all be on hand in case any medical assistance is required. 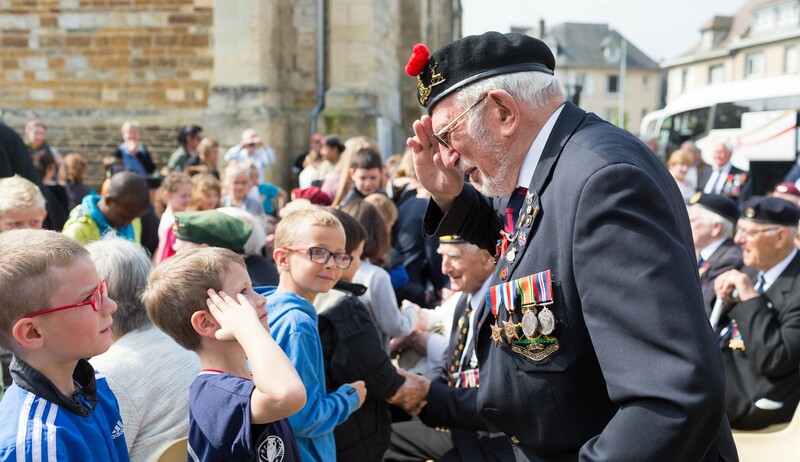 Our volunteers all share the same passion for the veteran community and consider it a real privilege to be able to share this experience with so many ladies and gentlemen who took part in the Normandy Campaign. Fill in your details below and we will be in touch as soon as possible to begin your application.